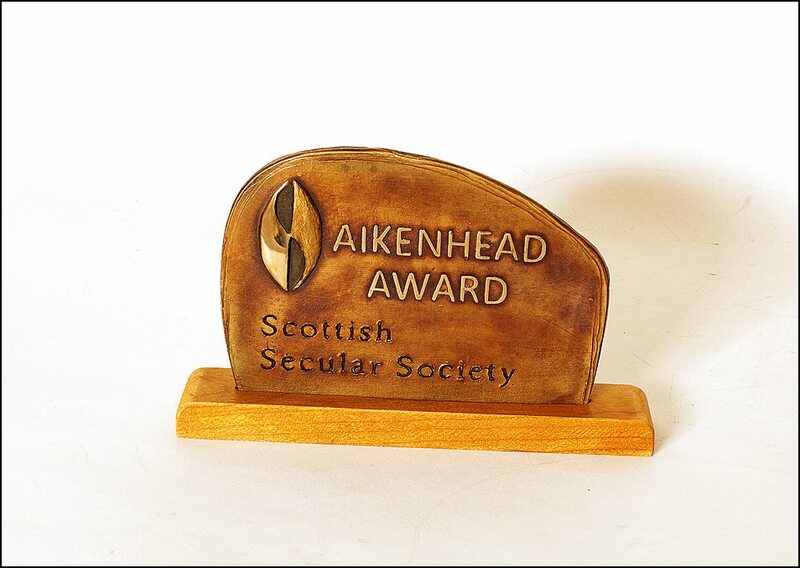 Garry Otton writes about the Aikenhead Award for secularism presented by the Scottish Secular Society. Raif Badawi, who celebrated his 30th birthday on 13 January 2015, was arrested in Jeddah (Saudi Arabia) in June 2012. On July 29, 2013 after he was convicted under Saudi Arabia’s Anti-Cybercrime Law of “founding a liberal website…. adopting liberal thought” and for “insulting Islam”. He was sentenced to 600 lashes and seven years and three months in prison. 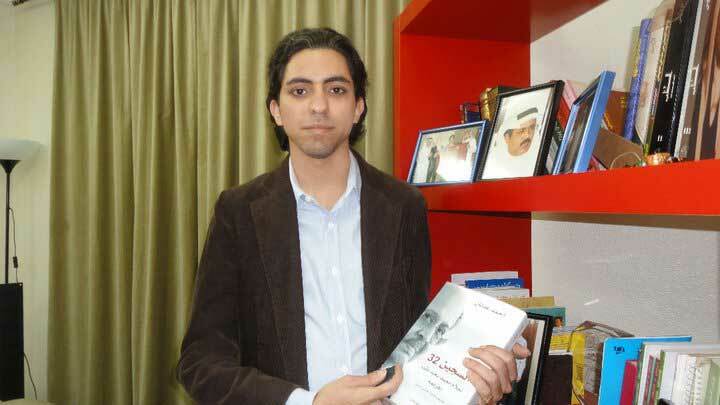 In December 2013, Raif Badawi, founder of the website “Saudi Arabian Liberals” which he formed to create an online liberal forum in Saudi Arabia, appealed to his initial sentence of 600 lashes and seven years and three months in prison to the District Court in Jeddah. In response, in May 2014, Jeddah’s Criminal Court sentenced Badawi to 10 years in prison, 1,000 lashes and a fine of 1million Saudi riyals (approx. £170,000) on charges of “insulting Islam” and “founding a liberal website”. The court also sentenced him to a 10-year travel ban and 10-year ban from participating in visual, electronic and written media, both to be applied following his release. 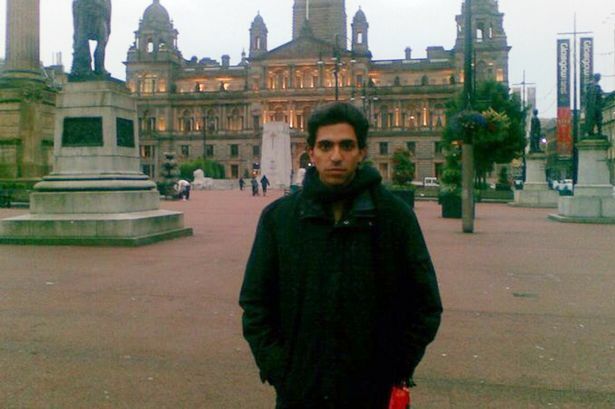 On 30 October 2014, a source following Raif’s case in the Saudi kingdom, who asked to remain anonymous, informed Scottish Secular Society Vice Chair, Ramin Forghani that the Saudi interior ministry had sanctioned implementation of the verdict against Raif Badawi and sent it to prison administrators for enforcement. Badawi’s lawyer, Waleed Abu Al-Khair, a human rights activist, was also arrested on 15th of April 2014 and in June 2014. He was sentenced to 15 years in jail for charges including “undermining the regime and officials”. He is one of a number of lawyers with interest in human rights protection who have recently faced charges in consequence of advocating human rights in Saudi Arabia. On 31 December Raif Badawi was transported to a prison at Al Islahia in Jeddah. The decision to execute Badawi’s penalty was signed by the interior minister, Mohammad bin Naif. 50 lashings were delivered to Raif on Friday 9th January, the day after he was awarded the Aikenhead Award on 8th January, the day Edinburgh student Tom Aikenhead was hung for blasphemy in 1697. 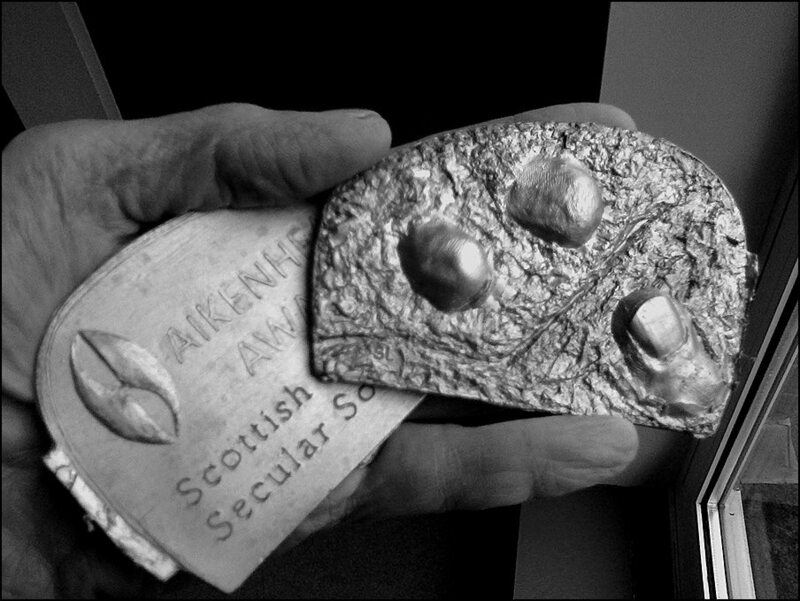 In awarding Raif Badawi the Aikenhead award in 2015, the Scottish Secular Society’s inaugural annual award for commitment to secular values, SSS Chair, Spencer Fildes, said: “The world should be outraged at this assault on a man’s liberty. We should remember that here in Scotland we prosecuted and hung a 20-year-old Edinburgh student Thomas Aikenhead for blasphemy in 1697 with the full support of the Church of Scotland. This is uniting the world in its support for common humanity and compassion.” He went on to urge everyone to sign Amnesty International’s petition to have Raif freed. The award is a sculpture showing fingers appearing through granite and was designed by sculptor, Sandeha Lynch. It was scheduled to be awarded in Raif Badawi’s absence at a later date after the waxes were cast for the foundry but the announcement of Badawi’s lashings pre-empted this resulting in the Scottish Secular Society making an urgent statement about the award to the press.